Our local intrastate relocation service expands throughout the state of Texas; whether your moving locally in the Arlington, Dallas/Fort Worth Metroplex, Austin, San Antonio or Houston Condor Moving Systems can customize our moving services to suit your needs anywhere in Texas. Our goal is to become the mover you can count on as our moving crews take great pride and care in moving our friends and neighbors within the “Friendly” State of Texas. As a full service moving company located in Arlington TX, we offer a wide array of relocation services to insure a stress-free experience expanding to full or partial packing, custom crating, short term or long term storage, and even special handling of precious and sentimental belongings, pianos, and motorcycles. Moving cross country and need a mover you can trust? With over 12 years experience specializing in long distance moving, fully licensed and insured, and two of the highest distinctions and certifications in the moving industry we adhere the highest standards in our industry, moving anyone anywhere. Our local intrastate moving service expands throughout the state of Texas; whether your moving locally in the Dallas/Fort Worth Metroplex, Austin, San Antonio or Houston Condor Moving Systems can customize our moving services to suit your needs anywhere in Texas; our goal is to become the mover you can count on as our moving crews take great pride and care in moving our friends and neighbors within the “Friendly” State of Texas. Let Condor Moving Systems provide you with quality moving services at the most competitive rates. Condor offers wide range of services from partial-packing service to full-packing service or short-term to long-term storage solutions and automobile transport, shuttle service, crating, handling of antiques, pool table and piano moves. Fully licensed and insured for your peace of mind, we are a certified Pinnacle Mover and proud member of the Southwest Movers Association and a recognized ProMover through the American Moving and Storage Association. These memberships commit us to maintaining a high industry standard by providing service that is always efficient, reliable, professional and safe. 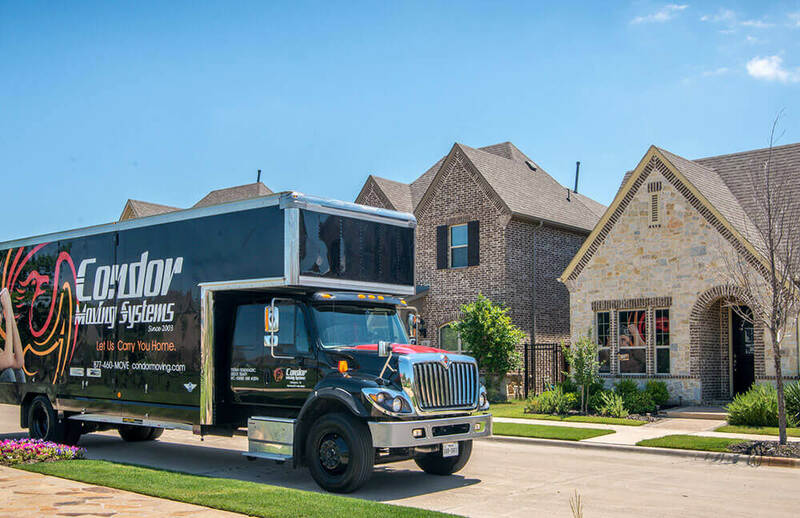 As a Pinnacle Mover Condor Moving Systems has passed a rigorous certification process that can give our customers peace of mind that Condor Moving Systems is the right choice. We are proud to be a Pinnacle Mover Certified Company in Arlington TX, and happy to serve clients across Texas and the DFW region, including cities like Dallas, Houston, Austin, San Antonio, Fort Worth, and many others. As a ProMover Condor Moving Systems has agreed to abide by the American Moving and Storage Association code of Ethics and passed a review of professional business standards before being recognized as a quality moving company. Condor Moving Systems has signed an agreement affirming to uphold the American Moving and Storage Association rules to provide quality moving services. Typically the ProMover program applies to interstate commerce "state-to-stat" moves but in some states it includes local movers. The main purpose of the ProMover program is to promote ethical principals in the moving and storage industry.